The Havana Mojito as shared with my Los Angeles bookclub by Rosa Lowinger. It’s not a Havana Mojito without the Angostura! Muddle (Smush and squish) the mint and 1/2 of the lime in a glass. Add the rest of the lime and the sugar and muddle some more. Finally, add ice, rum, sparkling water and the Angostura. Give it a stir and enjoy! 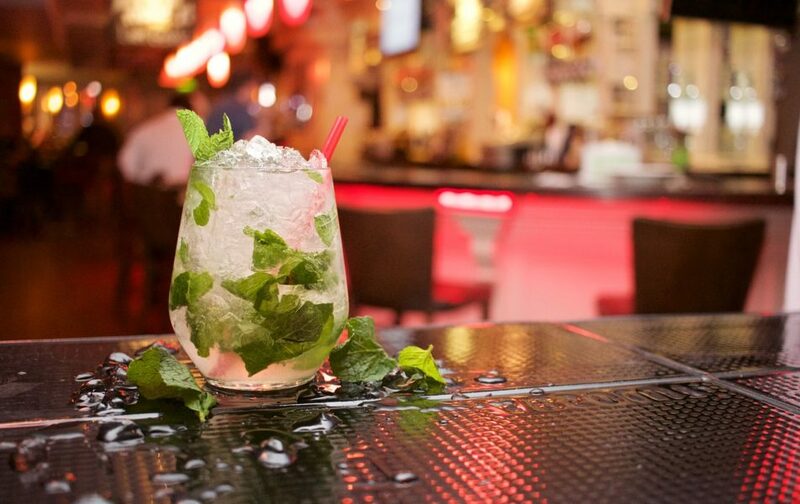 A warm thank you to Rosa Lowinger for sharing the Havana Mojito with our book/drinking club! We loved meeting and speaking with you and thoroughly enjoyed your book, Tropicana Nights. The true to life story of the famous Cuban nightclub, The Tropicana, as told by Ofelia Fox, Martin Fox’s wife and Journalist Rosa Lowinger. The pair tell a complete story of an illustrious period in time about the club which hosted some of the 50’s most inspired shows. 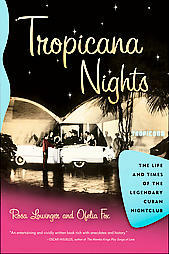 Tropicana Nights is full of information not only about the nightclub, but also, Cuban architecture, culture and history.